Stuart began writing at the age of 14 and in 1999 his first full length musical Searching won him the Stoll Moss Theatres Award for Most Promising Under 18 Writer as part of the Vivian Ellis Awards. 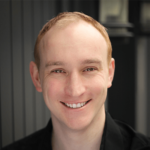 Stuart has gone on to write five other musicals including The Diary of Me, which was represented at the Perfect Pitch Musicals 2009 West End Showcase. In 2011, Stuart won the 4th Annual Tim William’s Award for his song ‘Stories of Heroes’ which featured in the Mercury Musical Development’s show; Beyond the Gate. The year later Stuart’s song ‘If Nobody Knows Your Name’ was featured in the show A Song Cycle For Soho (also MMD). Other musicals include Piper and Earth 3001. In 2014, Stuart was commissioned to write a two-hander musical for Tokyo, Japan. The piece, entitled Before After, was workshopped in the UK with support of Arts Council England, and opened in Japan in November 2014. It has since been presented there on a regular basis. Both a Japanese and a British cast recording have been released. 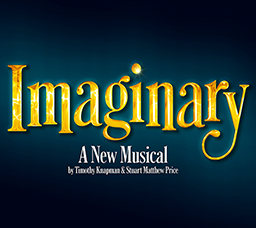 Stuart was commissioned by the National Youth Music Theatre to write Imaginary for their summer 2017 season at The Other Palace, London. A cast album for this is due to be released summer 2018. He is also developing ROSA about American civil rights activist Rosa Parks and a new dance/music piece with Dame Gillian Lynne. Stuart is also a producer and is a co-founder of production company United Theatrical. In addition, he is well known for being a performer and featured in such productions as the critically acclaimed Parade at the Donmar Warehouse, The Sound Of Music (Regent’s Park Open Air Theatre), Shrek The Musical (Theatre Royal Drury Lane), and The Rocky Horror Show (European Tour).